Deal Physical Damage to target enemy and inflict Speed Down with a 60% chance to attack again; increased to 100% on a critical hit. This attack cannot be evaded. (OMEGA-)Additionally, if any Galactic Republic Allies are present, one is called to assist dealing 20% less damage. (Limited once per turn). Deal Physical Damage to all enemies and all allies gain 25% Turn Meter. Remove 8% Turn Meter for each enemy with 100% Health. Inflict Ability Block on target enemy for 2 turns. Finally, if the enemies are separatist, this attack cannot be evaded. (OMEGA-) Target block cannot be resisted. Galactic Republic Allies have +50% Tenacity and 15% Max Health (40% Tenacity, 10% Max Health without Zeta.). Galactic Republic Allies also gain 2% Offense (stacking) whenever they assist. (ZETA-)Galactic Republic Allies gain Critical Hit Immunity for 2 turns when they drop below 100% Health. Kit Fisto has 55% Counter Chance. 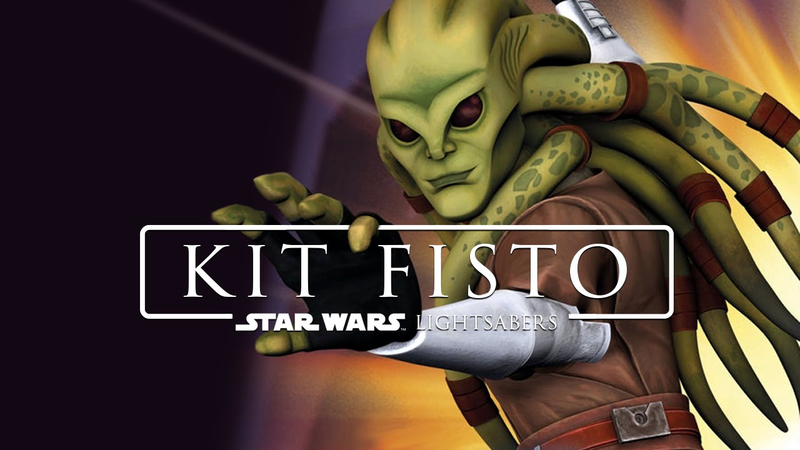 When Kit Fisto attacks out of turn, he removes 20% Turn Meter from the enemy. (OMEGA-)Kit Fisto gains Armor Penetration equal to half of his Tenacity percentage. This is good would really like to see this. The zeta is pretty bad though. I understand not needing the zeta to be meta defining, but Defense Up when you drop below 100% health is nearly useless. actually, better yet, im thinking critical hit immunity. Too over powered? I would change it to "Galactic Republic allies gain Critical Hit Immunity for 2 turns whenever they drop below 100% health." At the start of the battle, Galactic Republic Allies gain +10% Tenacity, 10% Max Health and 2% health steal for each Galactic Republic ally and Separatist enemy. Galactic Republic Allies also gain 3% Offense (stacking) until the end of the encounter whenever they attack out of turn. (ZETA-) Additional 10% tenacity. Galactic Republic Allies gain retribution and offense up for 3 turns whenever they drop below 100% Health. When a Galactic Republic Ally attacks out of turn, they remove 20% turn meter from the target which can’t be resisted. I added in health steal so that they can keep going back up to and falling below 100% health to get the buffs from the zeta. I also changed the stacking offense for each assist to each out of turn attack and put in retribution so that they attack out of turn more often. And since you said he’s good for facing the AAT I added in TMR, otherwise his team would never get past p1 or p3. great ideas. I added a few and I hope these changes make a little more sense. I appreciate the feedback!